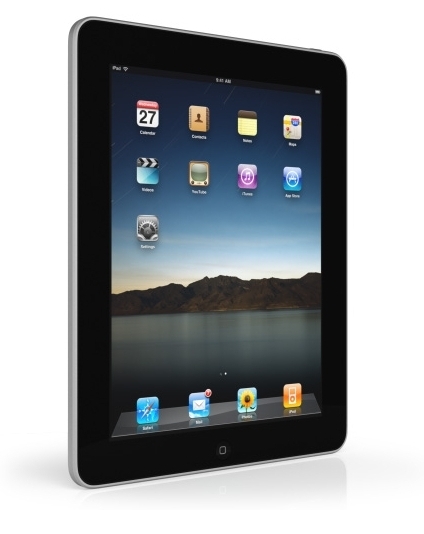 Apple's iPad will be hitting the market in about 60 days. It is cross-breed that lies somewhere between an iPod touch and a netbook. Apple hopes it will sweep the market like the iPod touch and iPhone did, but we are not sure that Apple will have a repeat success with the iPad. The iPad is basically a netbook without a physical keyboard (it has a software keyboard). The cheapest version (16GB flavor) will run you $500 dollars without a 3G AT&T data connection. We find it real hard for Apple to make this product as popular as their iPod touch, after all, it's just a super-sized iPod touch. You can't really install full-blown applications on it like you can on a laptop or a netbook -- only apps that appear at the Apple store. Realistically though most of those apps are basically for fun and lack real meat and bones we need for real productivity. We also feel as if 16 gigs is mediocre for a device that costs $500. Sure the Apple iPad acts as a movie player, music player, and web browser, but are you really willing to pay that much money for that use only? The real question is, will the Apple iPad be a product you use vigorously for a few weeks and then toss it in your pile along your endless Wii accessories? Only time will tell if we are wrong about this one.